Item # 304601 Stash Points: 1,199 (?) This is the number of points you get in The Zumiez Stash for purchasing this item. Stash points are redeemable for exclusive rewards only available to Zumiez Stash members. To redeem your points check out the rewards catalog on thestash.zumiez.com. Black Printed Web Belt from Marshin. Marshin active stretch clip belt. 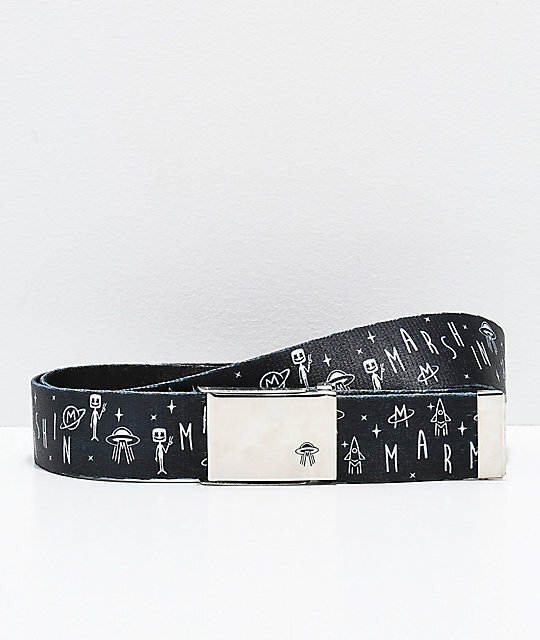 Black color way with "Marshin," UFOs, Martians, and rocket ships printed throughout. 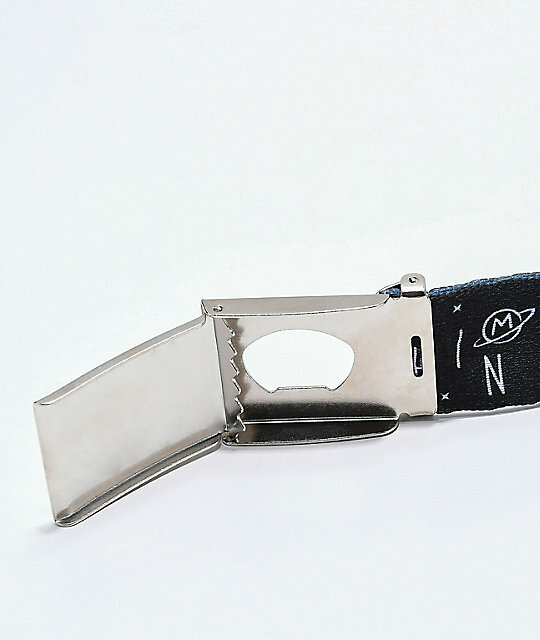 Non-slip printed logo metal buckle. Silver metal tip to prevent fraying. Fits up to a 44" (112cm) waist.